Having always had a passion for sport, Sam Parker, originally from Kegworth, has been a successful triathlete since the age of 16 and now boasts some impressive titles; European Age Group Champion and he finished seventh at the World Age Group Championships. “My highlight was racing the reigning Ironman Champion and Jenson Button in the same race, it was incredible”. Now in his third year of BSc Human Biosciences with Plymouth University, Sam has proven that it is possible to achieve a balance between his two greatest passions – sport and study - through clever time management. Since being awarded a Sporting Excellence Scholarship, Sam has taken advantage of the access to excellent facilities and expertise with Plymouth University and the Students’ Union, including the gym, strength and conditioning and sports therapy. Sam has been able to develop his public sporting profile through networking events, and access expertise in social media in order to learn how to effectively market himself as an athlete. The future for Sam will see him represent our University at high-level domestic events in the UK next season, the British Super Series and ultimately competing in an elite international start. 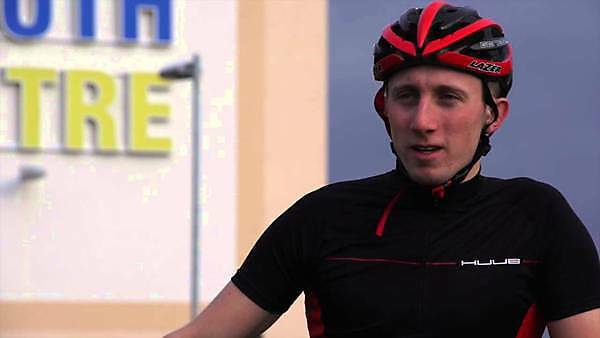 Sam Parker, International Triathlon Champion and BSc (Hons) Human Bioscience student. Learn how Plymouth University is inspiring and enabling Sam Parker to achieve his sporting and academic goals at one of the UK's top universities.